A membership to NutriDrip includes access to all three locations at a members-only price plus in-home benefits designed with your vitality, immunity and wellness needs in mind. Included with membership is a robust and unique tiered offer of services targeting your goals & a community of members leading their best lives. 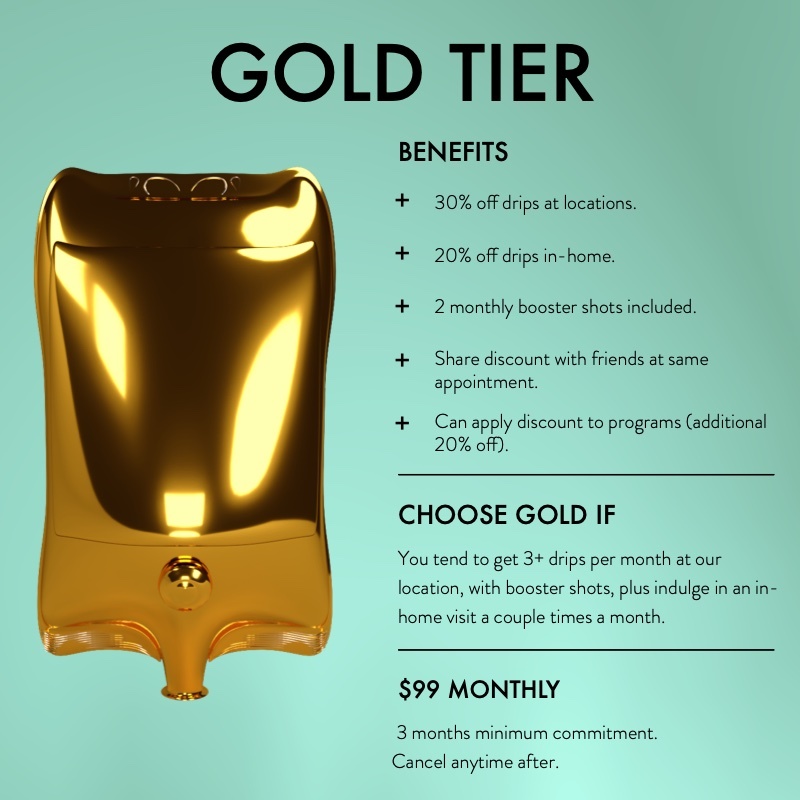 - Save 30% on your IV vitamin drips and booster shots at our Drip Lounge.- Save 20% on your IV vitamin drips and booster shots In-Home.- 2 monthly booster shots included- Share membership privileges with your friends.A membership to NutriDrip includes access to all three locations at a members-only price plus in-home benefits designed with your vitality, immunity and wellness needs in mind. Included with membership is a robust and unique tiered offer of services targeting your goals & a community of members leading their best lives.